The University at Buffalo's Lance Leipold agreed to a new deal to stay on as head coach of the school's football team. 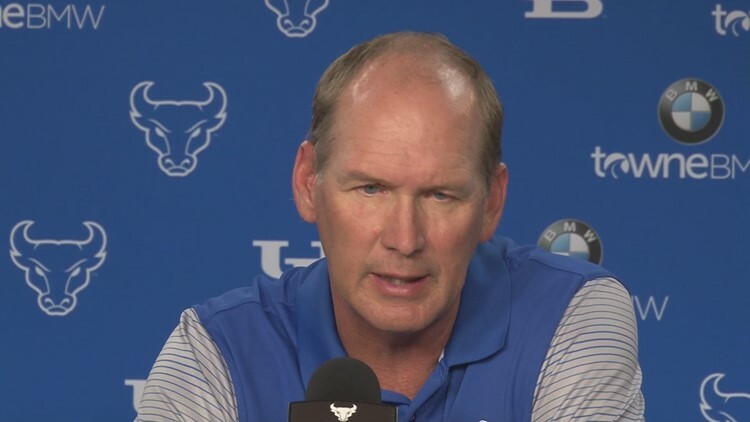 BUFFALO, N.Y. — The University at Buffalo's Lance Leipold agreed to a new deal to stay on as head coach of the school's football team. The five-year contract runs through the 2023 season. Leipold, who was named 2018 Mid-American Conference Coach of the Year, helped lead the team to a school record 10 wins in 2018. The deal runs through the 2023 season and pays $465-thousand per year. The contract includes bonuses for among other incentives, win total, division title, bowl appearance and bowl victory. The buyout on the contractg starts at $1-million in 2019 and descends to $450-thousand at the end of the term.